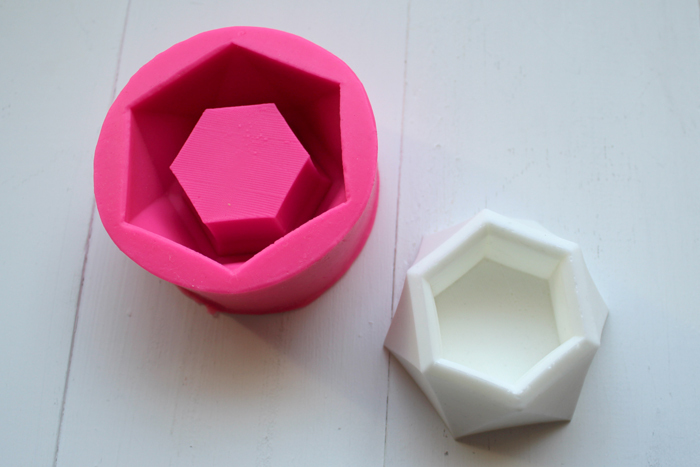 Hey Resin Crafters, it’s Natalie from Doodlecraft sharing a quick craft using FastCast Resin. 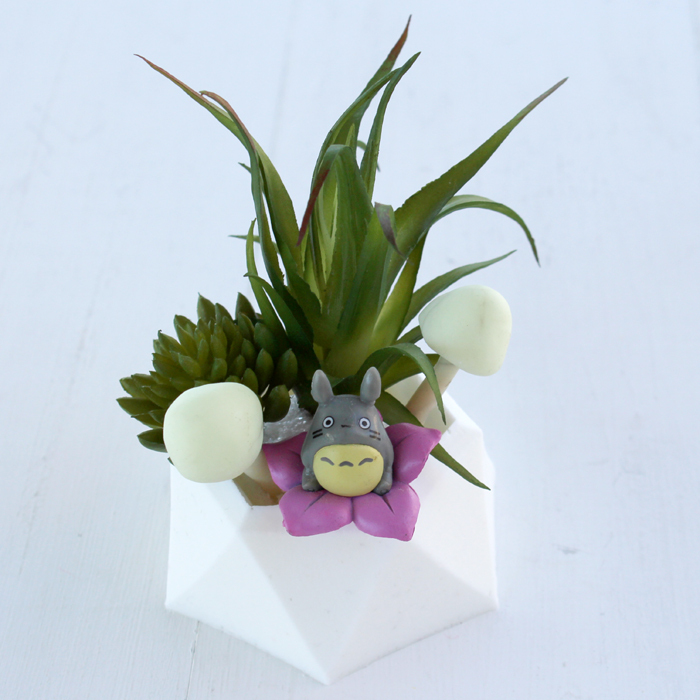 This mini fairy garden is especially cute and a fun indoor craft. 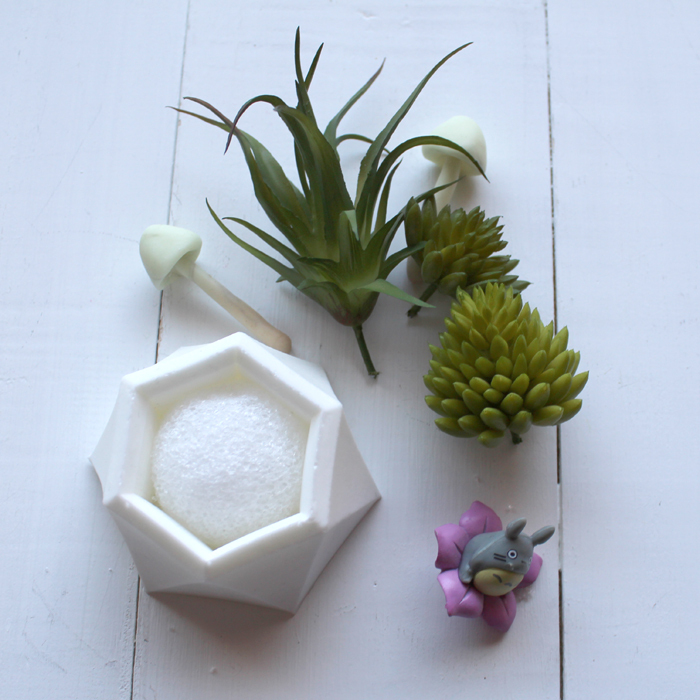 The best part is this mini fairy garden can be created in less than 30 minutes! 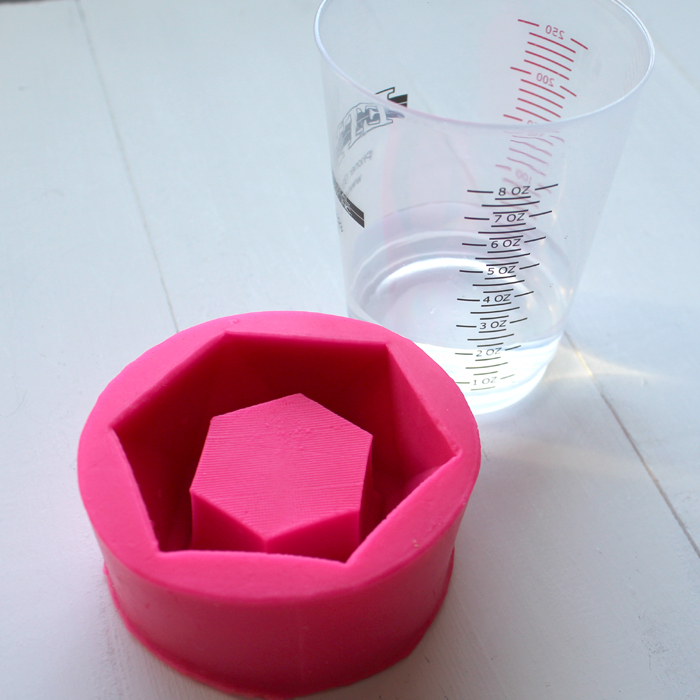 Before mixing the resin, figure out how much liquid the silicone mold can hold. 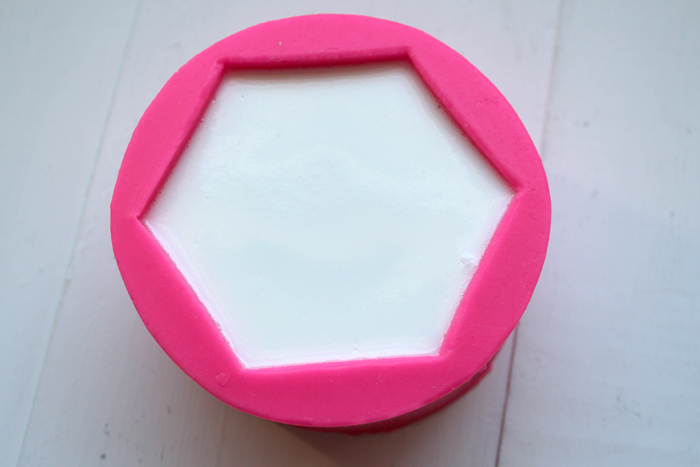 Fill the mold with water and empty the measuring cup out completely. 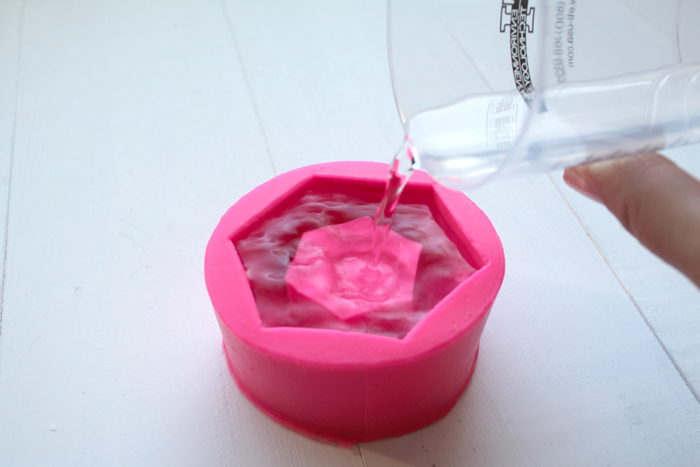 Then pour the water from the mold into the measuring cup. 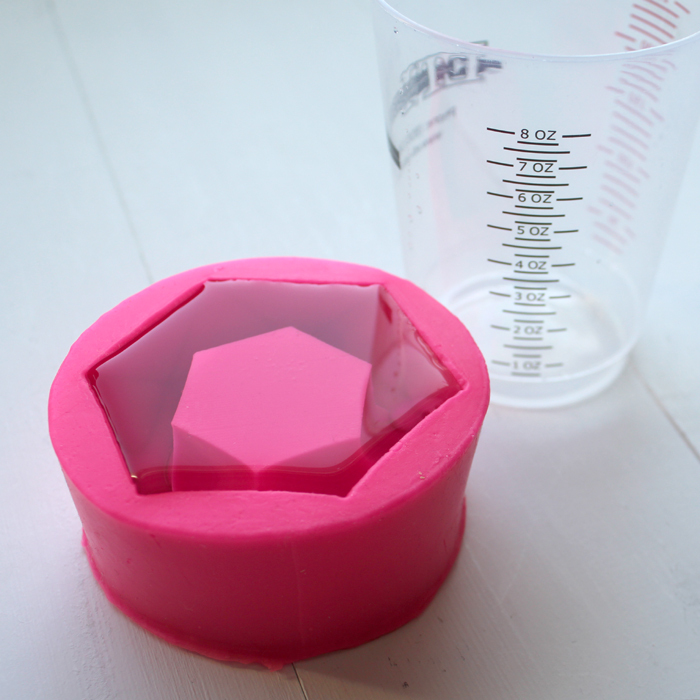 This will show how much resin is needed to fill the silicone mold. 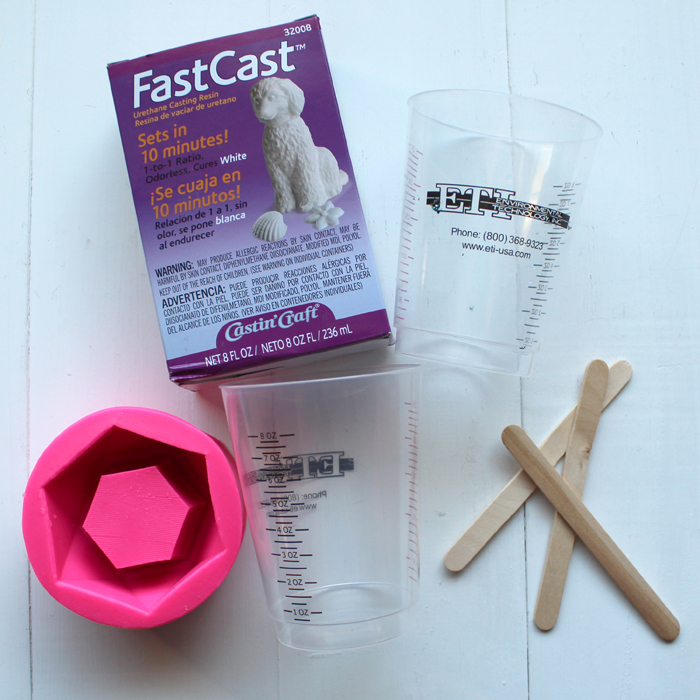 Read the directions for the FastCast before mixing. 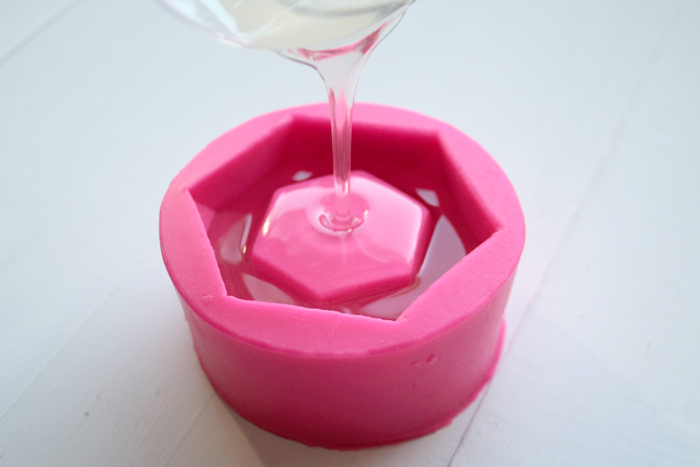 FastCast resin sets in less than 10 minutes, so there is no time to waste once it’s mixed. Mix 1 part of resin, 1 part hardener and stir for 1 minute. 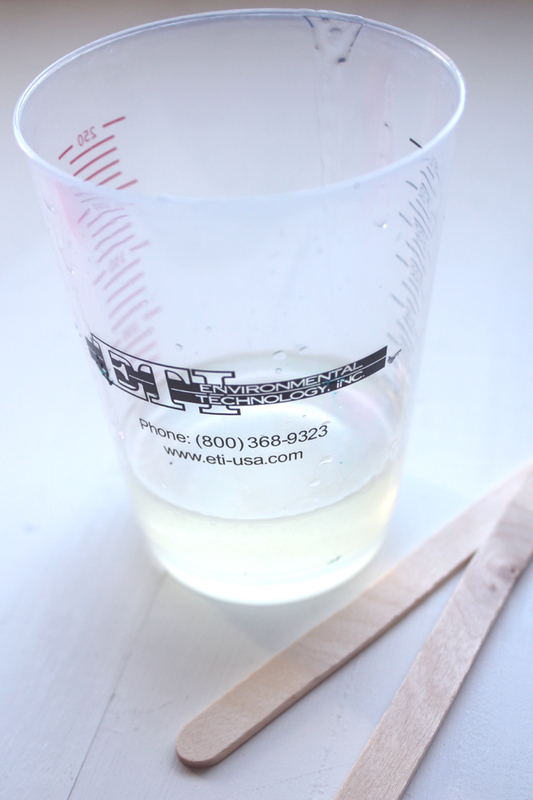 Then transfer into a second cup and use a second stick to stir resin for 30 seconds. Pour the FastCast resin in the mold. 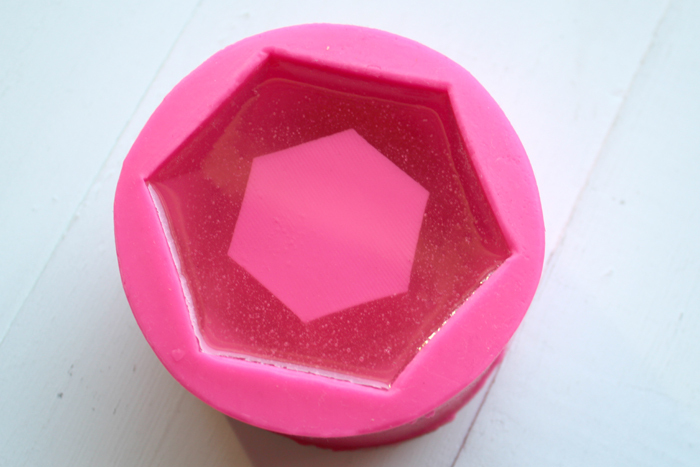 Just as planned, the mold is completely filled with no leftover resin. Within minutes, the resin begins to turn white. Then the resin will be completely hardened within 10 minutes. 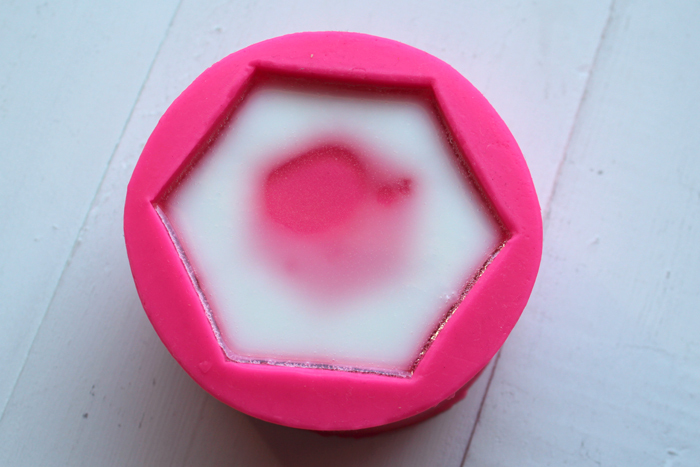 It easily pops out of the silicone mold. 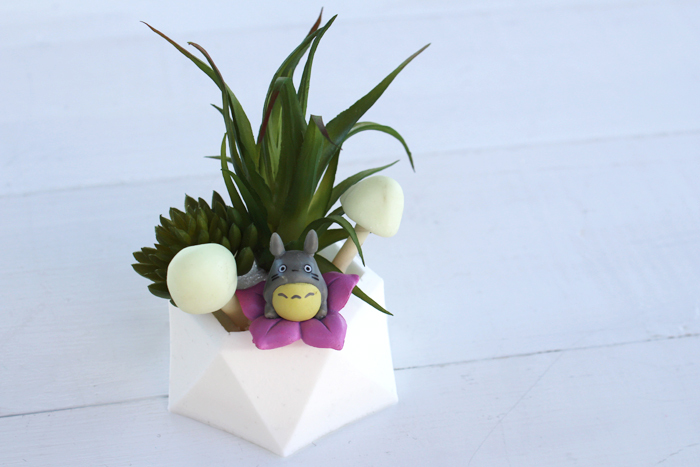 This little planter is now ready to fill! 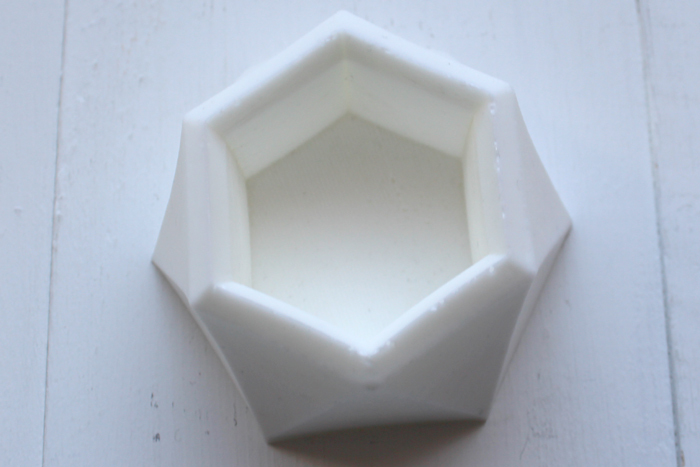 This could also work as a candle holder, little candy dish, succulent planter and more. Place half of a styrofoam ball inside the planter. 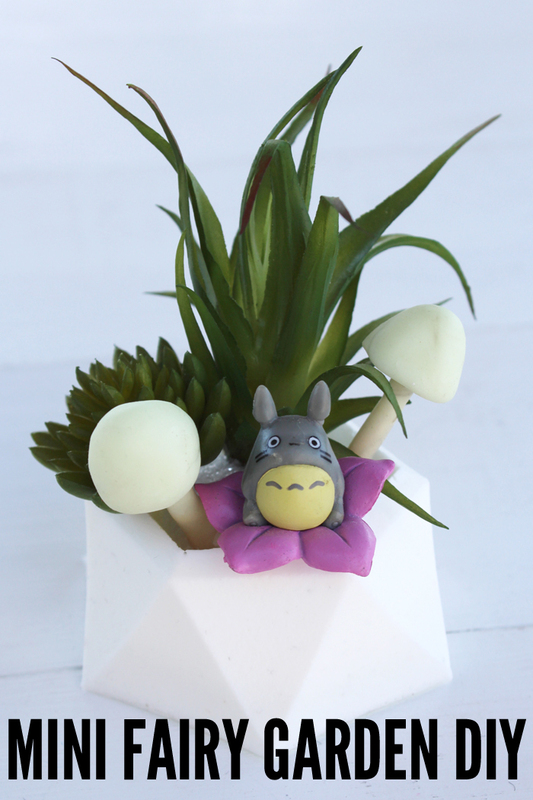 Then push fake succulents, clay mushrooms or other little fairy garden figurines into the styrofoam. That’s it! 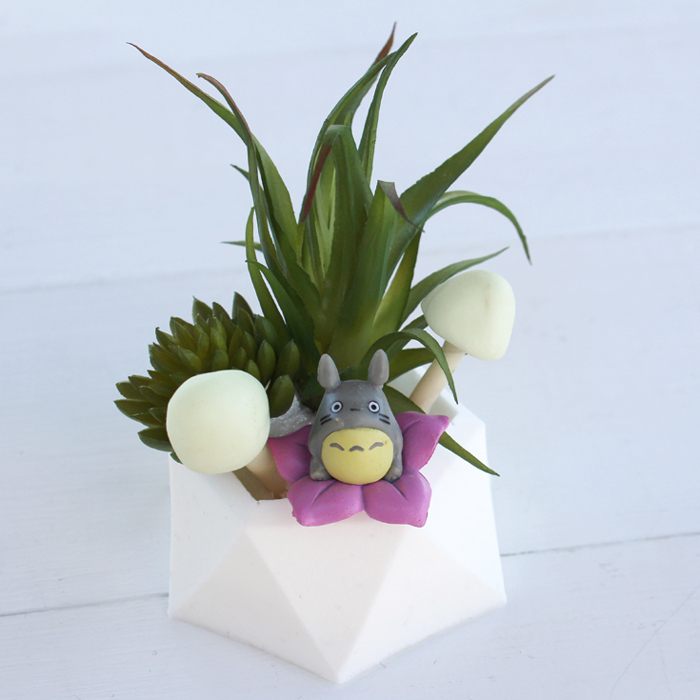 It’s super cute and makes a great statement on the desk or window sill.